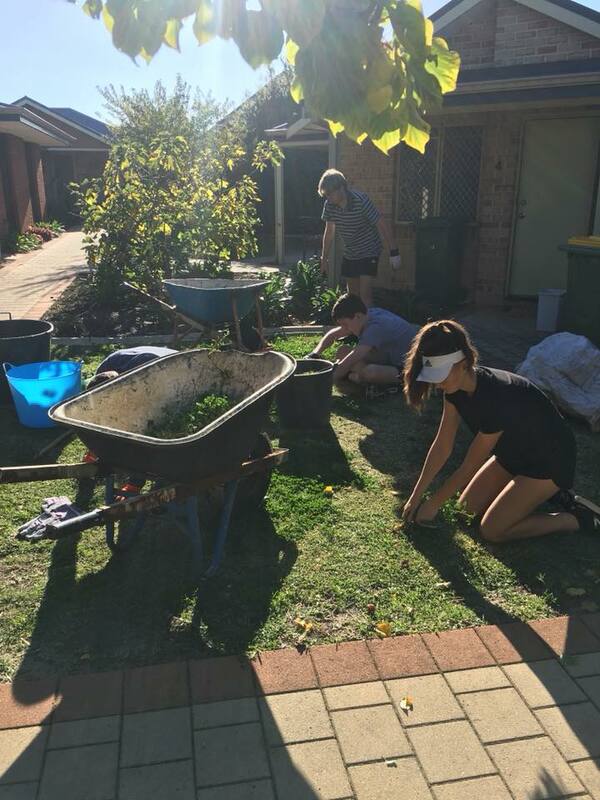 Applecross Rotary teamed up with Aquinas College to give the Starick Refuge a clean up. 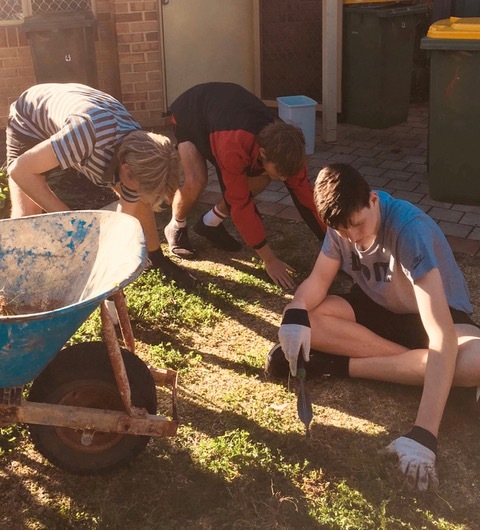 Michael Hardie, Declan Jeffreys, and Harry Wessels helped Rotarians fix up the garden this weekend. Fourteen people turned out for the Saturday afternoon event including Applecross Rotarians Lorri Brazier, John Richards, and Ian Fairnie, and members of the Community Minded Facebook group. Michael Hardie, Declan Jeffreys and Harry Wessels are students in the Aquinas College Service learning program. The program helped in the original garden blitz last year. The Starick Refuge helps provide safe housing to women and children who are escaping domestic violence. Their services include counselling and advocacy during and after their stay at the refuge. 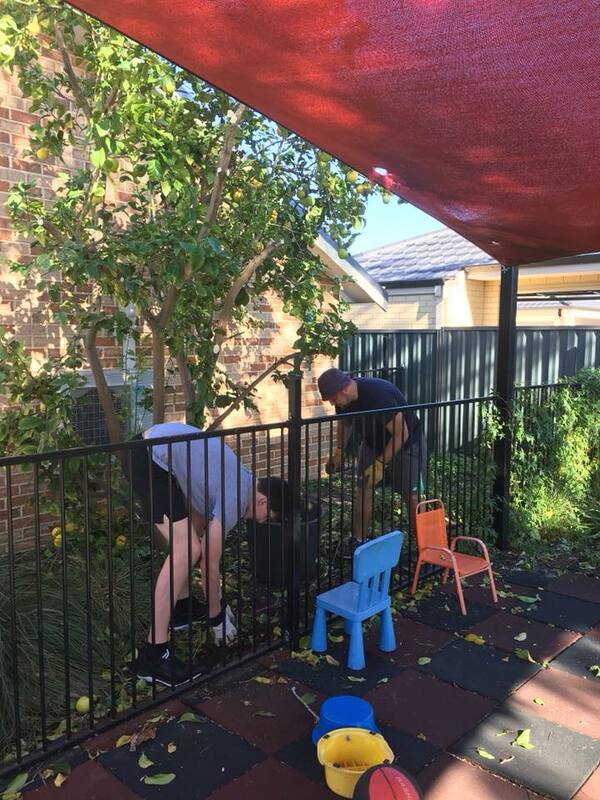 Our club assisted with much needed weeding, cleaning up the fallen leaves, and general outdoor maintenance.